Explore Tanzanian culture at this open forum for local artists and craftsmen to showcase their hand-made collections in an organized environment at the Quality Centre Mall. 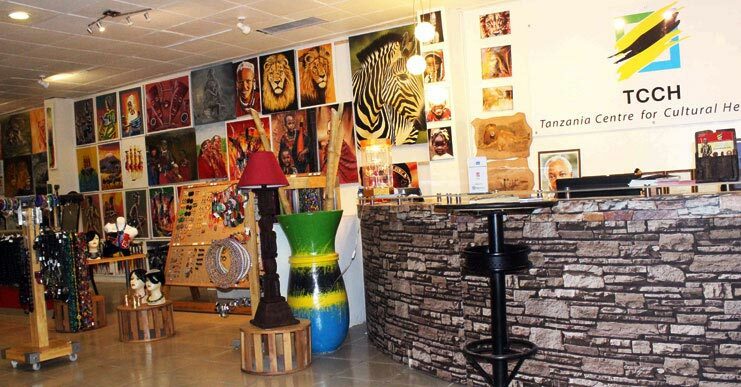 Designed to promote and support the community of Tanzania, the Tanzania Centre of Cultural Heritage offers a variety of gifts, souvenirs, and unique keepsakes from local artists. Shop for jewelry and Masai Bead Art, oil paintings, wooden and metal sculptures, clothes, and trinkets. All proceeds go directly to the artist who created the one-of-a-kind gift. Pick up that perfect piece to remember your time in Tanzania. Open daily from 8:30 am to 8 pm. What types of items will I find at the Tanzania Centre of Cultural Heritage? Tanzania Centre of Cultural Heritage offers a variety of products and souvenir's hand-made by local craftsmen. Shop around for jewelry and Masai Bead Art, paintings, drawings, wooden sculptures, traditional clothing, and unique keepsakes and trinkets which make perfect gifts.